Kevin McLellan is the author of: Tributary (Barrow Street); the chapbook Round Trip (Seven Kitchens), a collaborative series with numerous women poets; and the book arts project [box] (Letter [r] Press). The chapbook Shoes on a wire (Split Oak Press) is forthcoming. 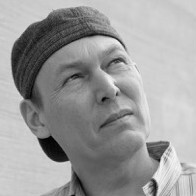 McLellan won the 2015 Third Coast Poetry Prize, and his poems have appeared in journals including: American Letters & Commentary, Colorado Review, Crazyhorse, Kenyon Review, Superstition Review, West Branch, Western Humanities Review, Witness, and several others. Kevin lives in Cambridge MA. flew low like a message. never the same disrobed hour. and I hung up. My hand trembled. both of us and I must choose myself.